Sow Watcher is a sophisticated pig husbandry management software program. It is aimed at mixed production units (breeding + fattening), but it is also able to cover most of the needs of pure breeding units (units that produce the piglets produced for breeding animals and do not end up in the slaughterhouse). Unlike previous versions, Sow Watcher can support multiple units, each with a different replication manager. As far as breeding reproduction is concerned, the data that can be recorded are practically numerous. The program draws up a number of detailed lists of livestock management and reproduction practices (pregnancy diagnosis, returns, expected births, farrowing’s, weaning, sow culling, male culling, replacement history, import of males, male introduction and male use). In addition, lists can drawn up concerning the individual control of sow and boar performance. In terms of fattening, these are divided into three categories depending on the stage of fattening (growers, pre-fattening and fattening), and their ages are recorded in weeks. The data are entered on a daily basis and relate to the number and weight of incoming and outgoing piglets, by stage and age, the losses and the amounts of food administered. For each stage, but also for the whole fattening, indicators such as average daily live weight increase (ADG), diet rate, etc. are estimated. For all reproductive breeding animals, detailed health and medical care data are kept. These include vaccinations, treatments (medication) records. The program supports suppliers and customer records. 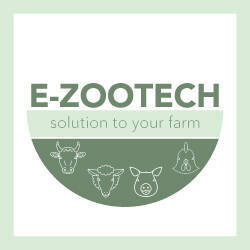 As far as suppliers are concerned, when the identification of the animals is registered, the user has the possibility to declare the supplier from whom he purchased the animal. Then he can analyze the yields of these animals by supplier so that he decides who or which of his suppliers give him the best breeding animals. In the case of customers, when the user supplies to other breeding units, he must declare the customer who buys each animal so that in the future he will avoid supplying the same customer with relatives. For this reason, the program establishes a detailed breakdown of sales of breeding animals. The observance of the financial data is mainly due to monitoring the economic result of the breeding and is not official. Data entry is brief and categorized. Revenue is a separate main category, with the costs being divided into eleven main categories (feed - litter, rent - premium, construction - equipment, labor, medical care, reproduction management, loans, fuel, materials, livestock and so on expenses). Each main category consists of two or more subcategories, as appropriate. Revenue and cost categories can be parameterized by the user. The statistical processing of the reproduction facility is very efficient. In total, 79 statistical functions are calculated, either over time or as a function of the livestock cycle. These sizes can be estimated either for the whole or part of the breed. Farmed animals may be divided into subgroups on the basis of grouping, breed and / or supplier criteria and the yields of those animals meeting the criteria set by the user. In this way, the breeder can answer many management questions that arise in practice. The result of the statistical processing can be attributed graphically (two or three-dimensional charts). In addition, the user can process the piglets lost during lactation by age, and cycle as well as reproduction statistics.